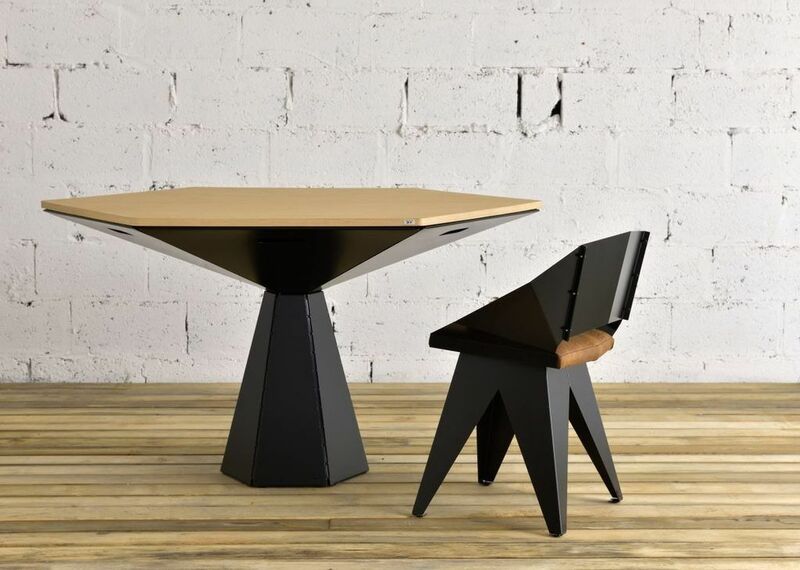 Geometric dining table Unit. It is made of metal. 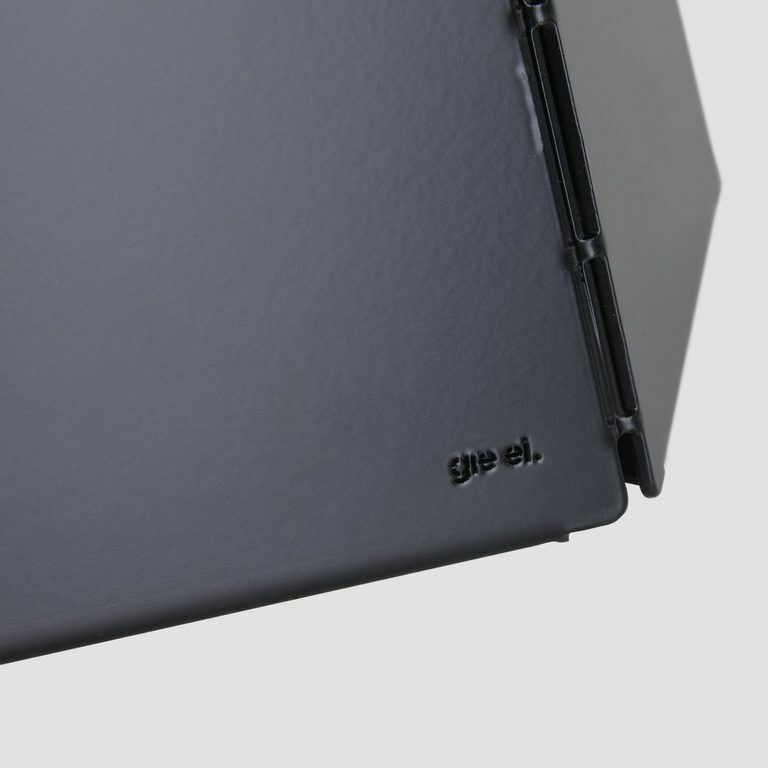 Powder coated in matt black. 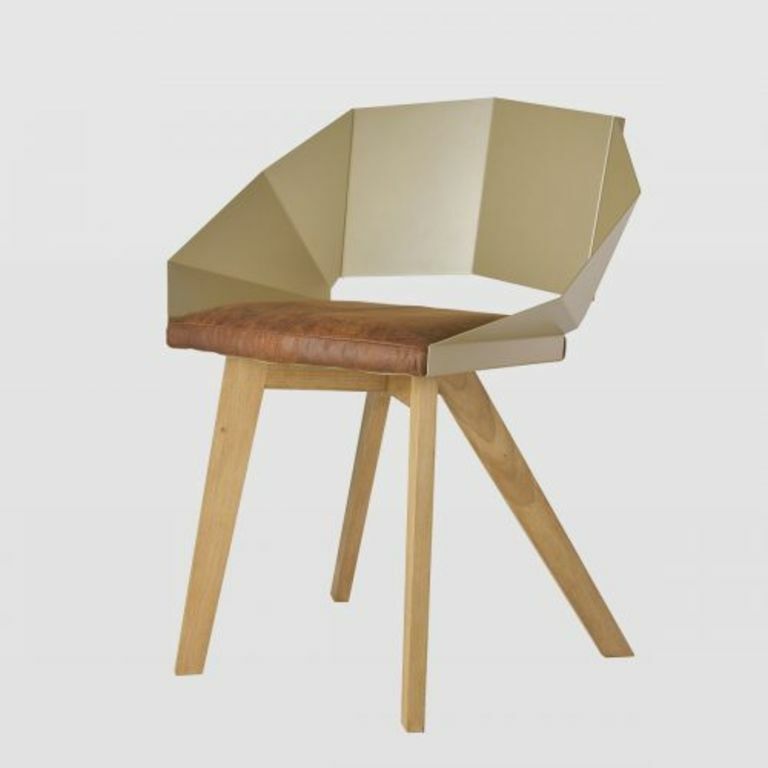 The hexagon-shaped top is made of a furniture board. 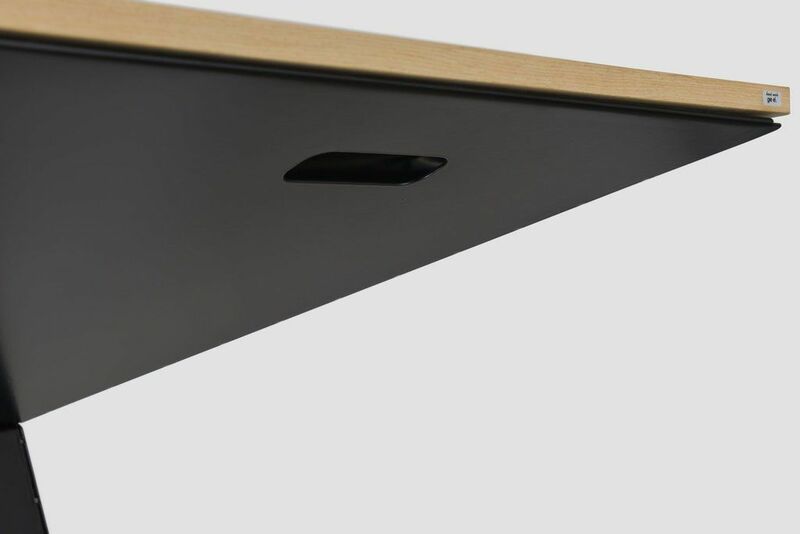 In the upper part of the base there are holes – handles to facilitate moving the table. 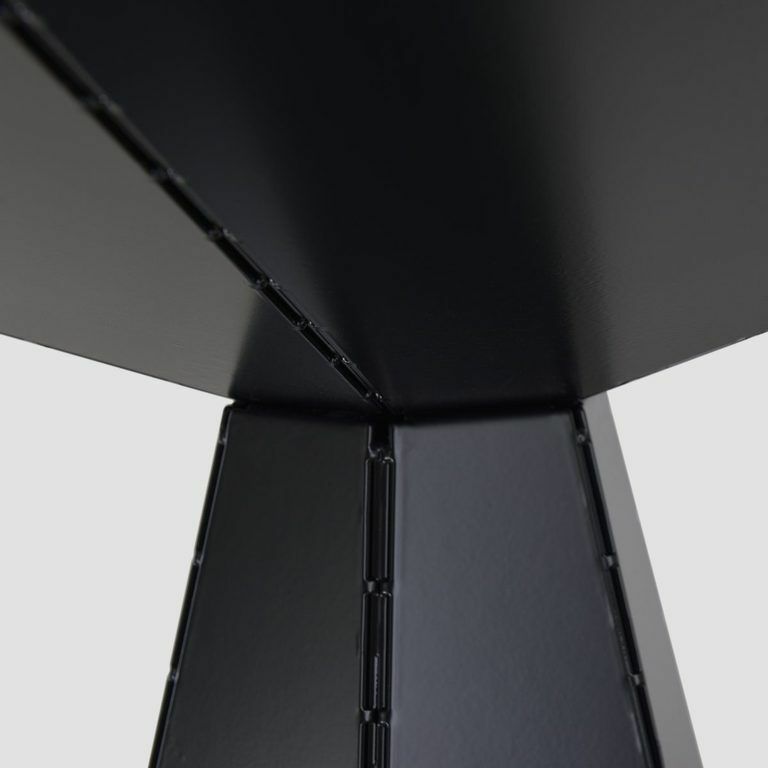 The solid leg has protection to protect the floor from scratches. 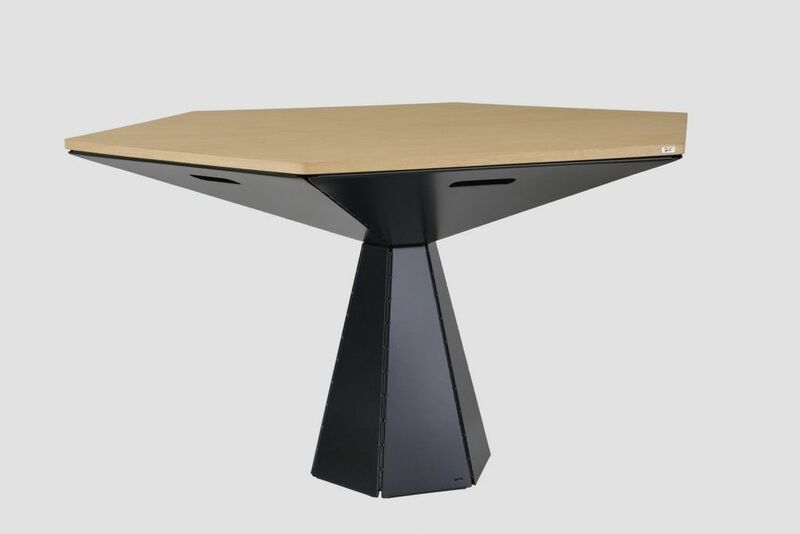 The table is designed for a maximum of six people. 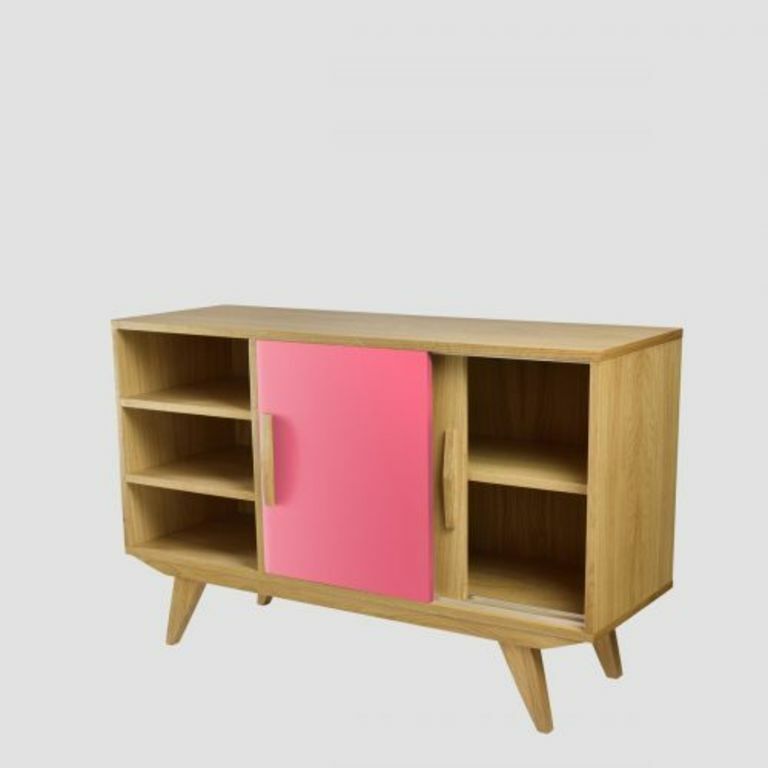 Unit due to its geometric form is an ideal proposition for modern and minimalist dining rooms. A large table top will contain tableware for the whole family, as well as dishes with food. Six people will sit comfortably with it. 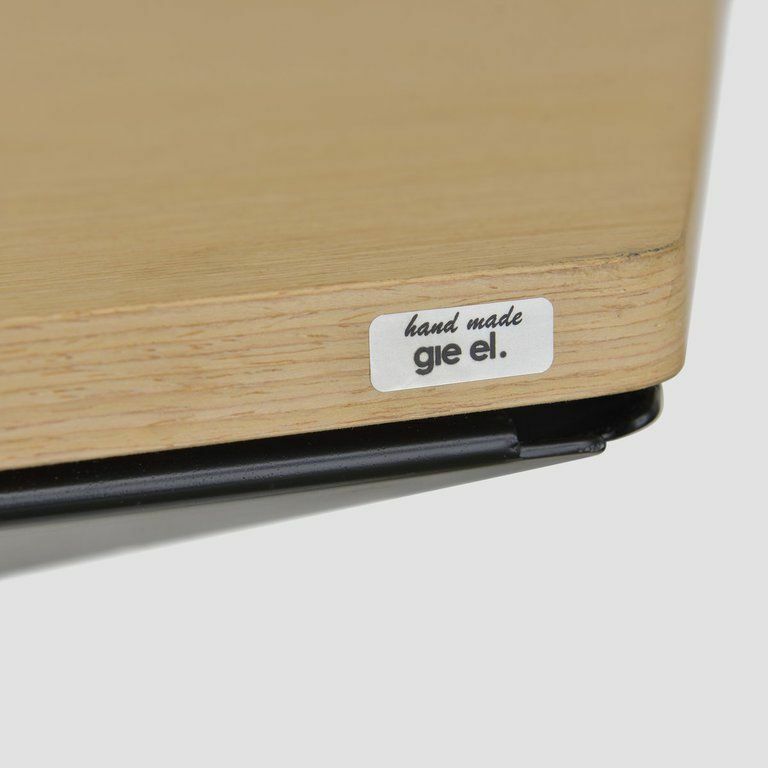 The table is suitable for everyday use – it will work as a table for a whole family. 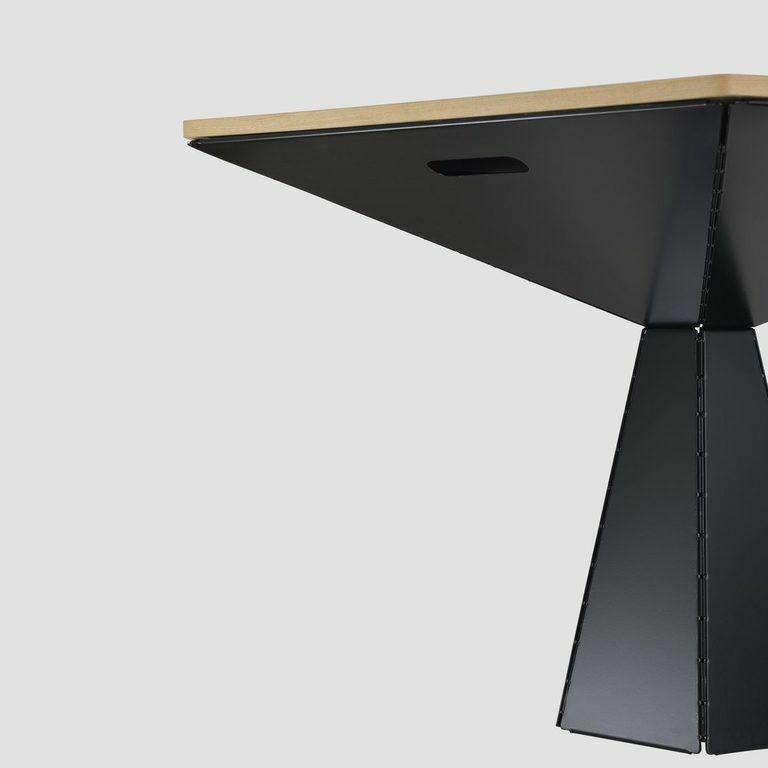 Thanks to the geometric shape of the Unit each person sitting at the table has enough space for legs. 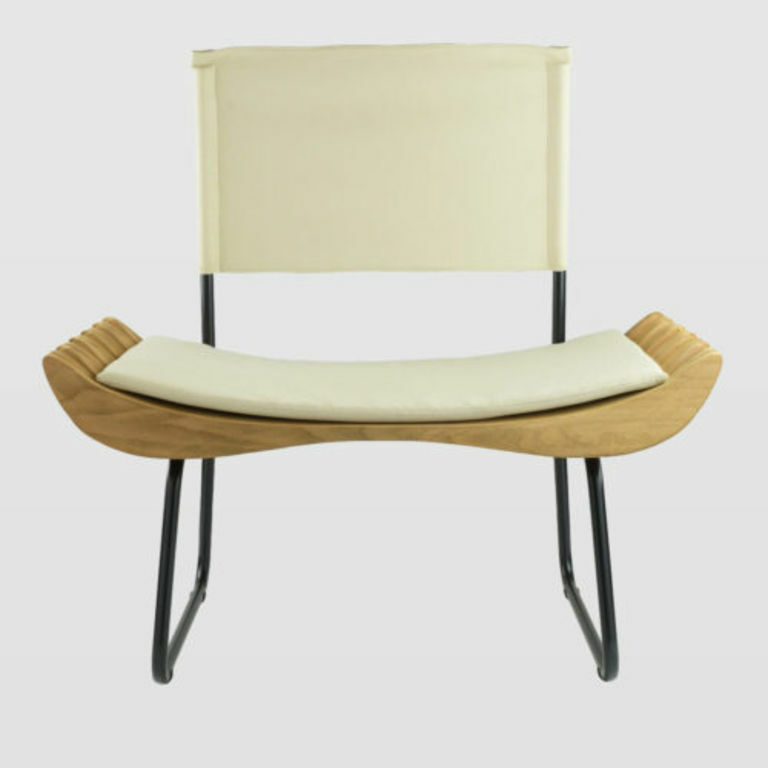 The table is suitable for most standard-height chairs. Unit will be a practical and, at the same time, original piece of furniture that will complement the interior in a modern or loft style. It works well in both the dining room, the kitchen and the living room. 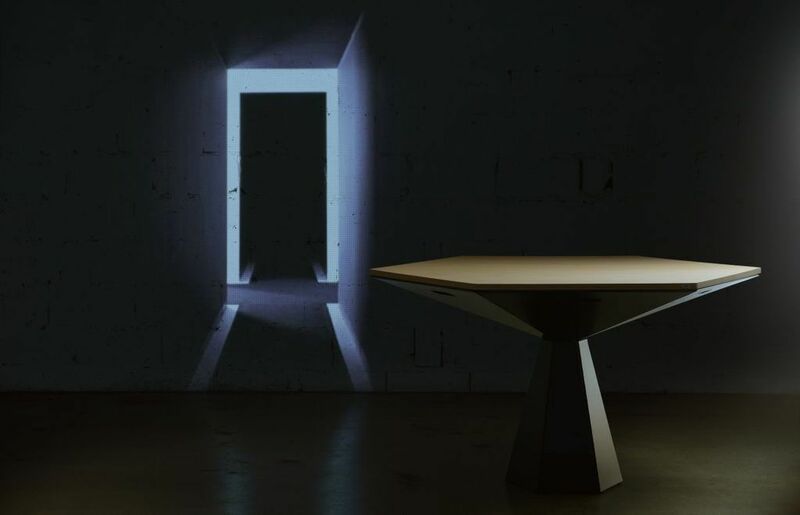 The inspiration for the creation of the Unit dining table was geometric shapes. Hence the idea of using hexagons – both in the countertop and the base. 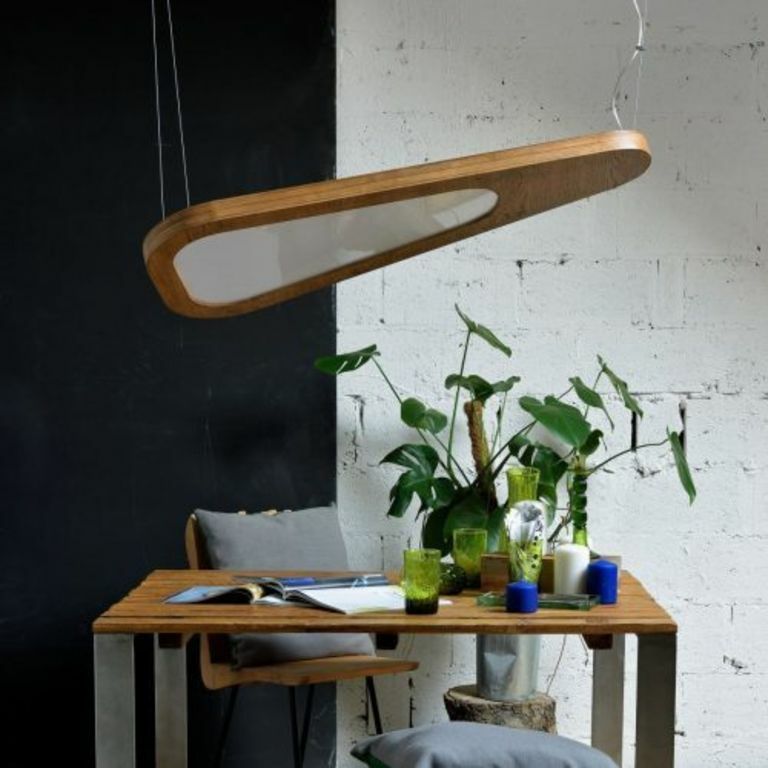 Thanks to its unusual shape, Unit definitely stands out among the other models of dining tables available on the market. 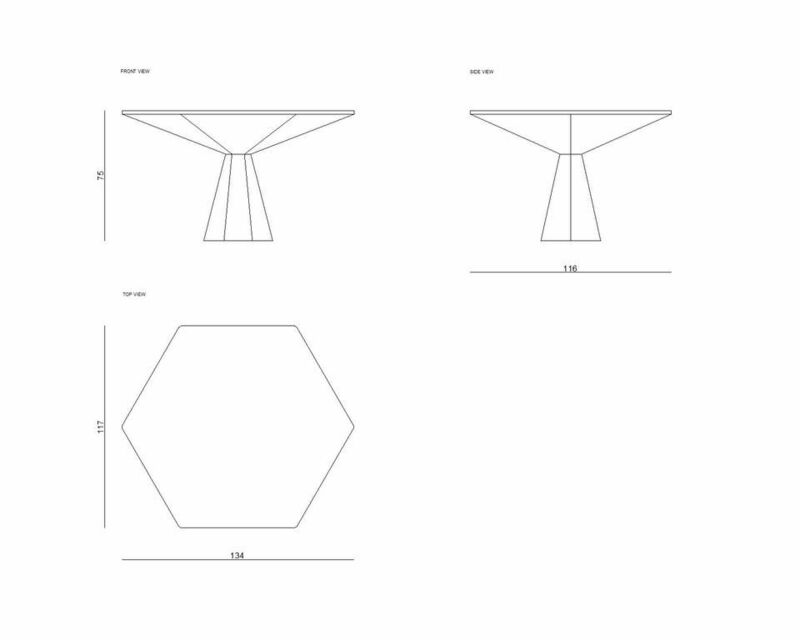 We wanted to create a table top with the largest possible diameter, which would fit both – tableware and food dishes. This is a table for the whole family. At which eating meals will only be a pleasure. Unit is an addition to the Hexa collection – which consists of coffee tables with geometric shapes. 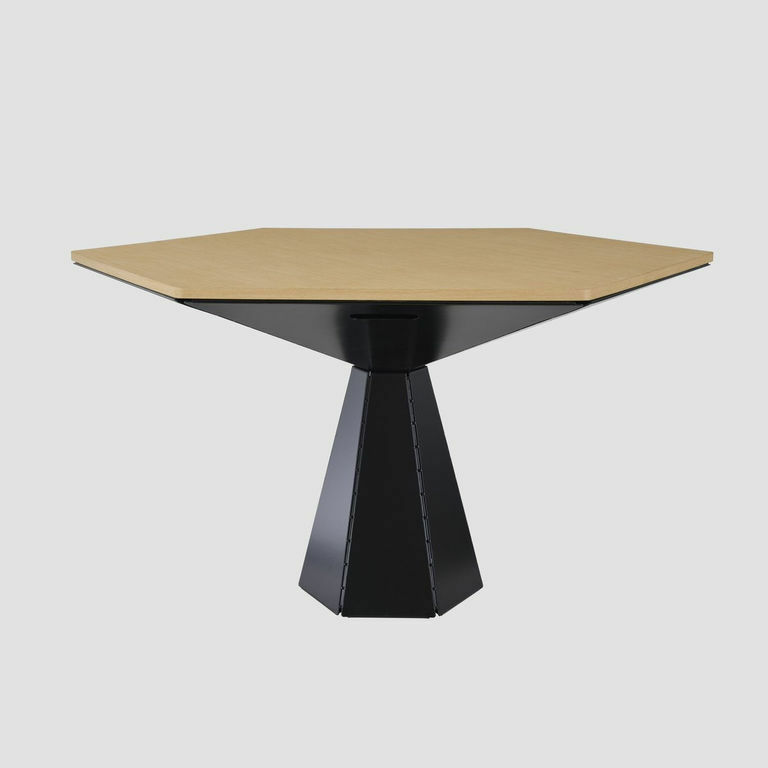 The Unit table is also available with a different base.